NICK GILLESPIE (REASON) – If you want to understand the “economic nationalism” that undergirds the right- and left-wing populism currently sweeping Europe and the Americas, Alison Klayman’s new documentary The Brink is essential viewing. No longer would Brussels dictate immigration policy; no longer would the “party of Davos” dictate Italy’s sovereignty; no longer would the European elites silence the Italian citizens. Matteo Salvini resurrected Italy’s national pride. The real vision was to form a government with the anti-establishment Five Star Movement—marking the first time a major industrial power combined the right and the left, the populist and the nationalist. Actual governing has been difficult. As Interior Minister, Salvini closed the ports to illegal immigration, reduced human trafficking and stared down the E.U. On larger issues of the economy and the direction of the country, it has been far tougher. From humble beginnings, Salvini is now the most talked-about politician in Europe—and by the end of May, after the European parliamentary elections, could well be the most powerful. Speaking on Tuesday at a Washington event organised by the Committee on the Present Danger: China, or CPDC – which also featured Senator Ted Cruz and former Speaker of the House Newt Gingrich – Bannon excoriated groups that have promoted business and cultural ties with China. “All the McKinsey guys, all the Booz Allen [Hamilton] guys, all of the law firms, all of the accounting firms, Goldman Sachs, my old firm, all of the commercial banks, all of them” know about the Chinese government’s policies towards Uygurs and Christians and other religious minorities, and “the enslavement of the Chinese people”, Bannon said. Efforts to stop China’s advance, as the United States did with the Soviet Union, “is the defining event of our time”, Bannon added. Booz Allen Hamilton said it does no business in China. McKinsey and Goldman Sachs did not immediately respond to queries sent about Bannon’s comments outside of regular business hours. CPDC was launched to facilitate “public education and advocacy against the full array of conventional and non-conventional dangers” posed by the ruling Chinese Communist Party, the group said in an announcement last month. Wednesday’s event in Washington was the first in a series of conferences planned by the group to raise awareness of its cause, the objectives of which include an abandonment of the Trump administration’s efforts to strike a deal that will end the US-China trade war that started last year. Since then, US-China tensions have reached levels not seen since the establishment of formal diplomatic relations between Washington and Beijing 40 years ago. The CPDC seeks to amplify all of the outstanding issues that prompted Trump to slap punitive tariffs on imports from China, including barriers to the country’s domestic markets. The group aims to expand the debate with warnings that US telecom equipment makers are falling behind Chinese company Huawei in the marketing of 5G mobile networks globally, and that the Chinese military’s technical prowess is becoming a dire threat to America’s military capability. “Our vulnerability in space is profound,” said Cruz. “The Chinese are investing billions in offensive weaponry in space … It’s all fine and good to have a fifth-generation fighter aircraft, but do you know how to land it if GPS goes down? “We need to be investing far more vigorously in defending space” to counter China’s eventual ability to jam US satellites, Cruz added. The CPDC did not limit the targets of its opprobrium to business leaders and politicians who they say are not taking China’s ability to threaten the US seriously. Bannon also hit out at the Committee of 100, a Chinese-American advocacy group that includes Yahoo co-founder Jerry Yang, world-renowned cellist Yo-Yo Ma and the architect I.M. Pei. Also known as C100, the group bills itself as being “committed to a dual mission of promoting the full participation of Chinese Americans in all fields of American life, and encouraging constructive relations between the peoples of the United States and Greater China”. The C100 had said in its press release that the group was “compelled to stand up and speak out against the racial profiling that has become increasingly common in the United States where Chinese Americans are being targeted as potential traitors, spies and agents of foreign influence”. “Civil rights for Chinese Americans are about American ideals,” said Frank Wu, the C100’s chairman, in response to Bannon’s comments. The singling out of particular groups as threats to American security is in the CPDC’s DNA. The Committee on the Present Danger (CPD) was first established in the early 1950s as a bulwark against the influence of communism in the US. The second CPD was formed in 1976 by defence hawks from the Democratic and Republican parties who disagreed with Washington’s policy of detente with the Soviet Union. 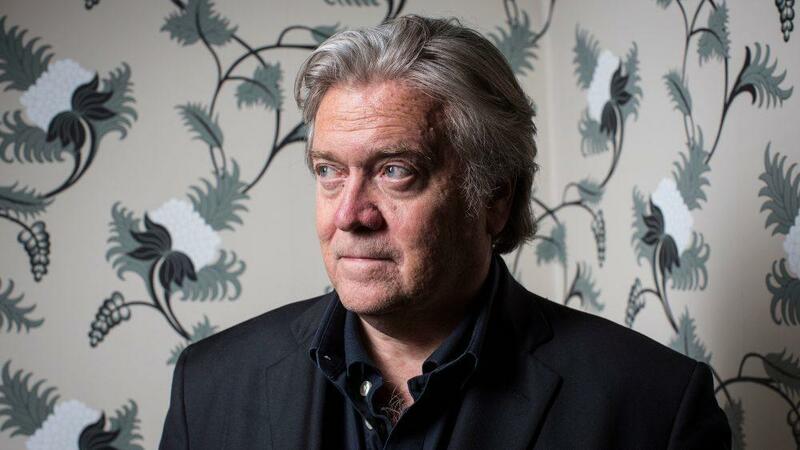 A CPDC founding member, Bannon was also co-founder of far-right news outlet Breitbart, which he described in an interview with American magazine Mother Jones as a “platform for the alt-right”. Bannon is also known for being a former vice-president of Cambridge Analytica, the now-defunct data analysis firm that harvested the data of millions of Facebook users to predict and influence political movements. The CPDC’s vice-chairman Frank Gaffney, who was a defence adviser to former president Ronald Reagan, said the committee was planning more conferences to amplify its concerns about China, and planned to invite leading figures in the Democratic Party including House Speaker Nancy Pelosi. 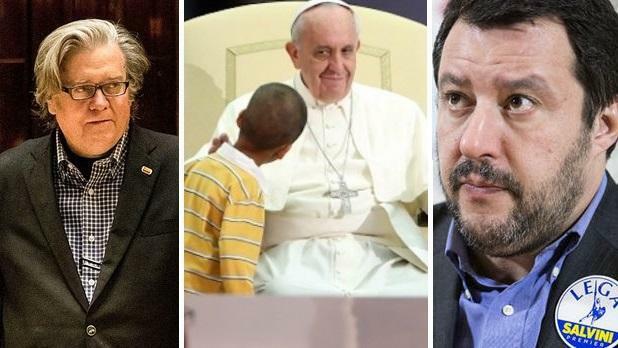 STEPHEN K. BANNON, former Chief White House Strategist and founder of Citizens of the American Republic joins World Over to talk about Vatican-China relations, US foreign policy and his controversial new academy in Europe that seeks to defend the Judeo Christian West.